Curved, solid round mouthpiece with wide, upward curve in the center. 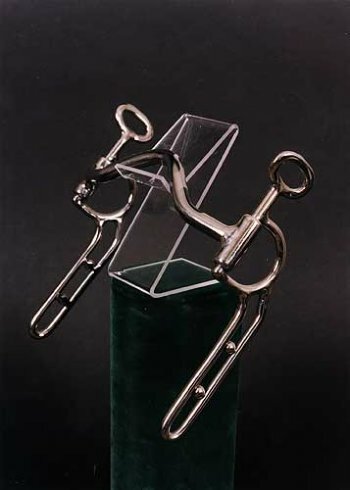 A mile mouthpiece, this bit works well for the finished horse working primarily off the bars and possibly the palate. The wide, medium curve of the port would be suitable for horses with a wide and/or thick tongue. 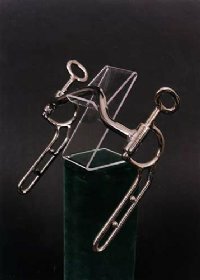 A good mouthpiece for horses with injured or scarred tongues. Works well single or in a team for driving. Also available with bushing.